The good parts were that my script happened to be exactly the right length, the questions I received seemed to show that what I’d said made sense, and the main points of why I was doing that specific research- connecting existing research on separate aspects, the timing thanks to ref changes, and the policy- went across coherently. Despite this, I can see many places where finishing earlier and having time to practice would have helped me. The main aim of the presentation was to tell a logical progression from existing research into the exact steps we took to create and carry out our research. While I did show the findings and patterns in existing research, and how I used those findings to develop my variables and hypotheses (to an extent), I failed to logically explain my methodology. I didn’t communicate much about why I chose a questionnaire, how I constructed it, why I chose interviews and who exactly my participants were, etc. All of those points were in the marking scheme, so I know I could have done better. 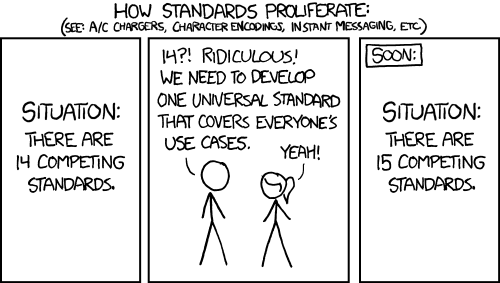 On the plus side, I got to use this XKCD comic as part of an academic assignment, which is a sentence I never expected to say. Watching everyone else’s presentations was interesting due to the variety of both projects and presentation styles in the group. It was also quite weird for me, as I realised how little my research interacted with scicomm. While there are indirect scicomm consequences as part of my research, from the results tying into research communication and educational resources, the project doesn’t contain any direct public engagement ideas or scicomm theory. Initially, this made me feel like I had done something wrong almost. But I know that behind-the-scenes research (and research about research) is just as useful as public-facing research. So, now that the defence presentation is complete (and I should find out my results by next week), that’s 40% of my project already finished. From here, there isn’t much to do beyond writing. My data is collected, my interviews are complete (though not transcribed) and I’m making progress in figuring out my regression analysis. Hopefully, the rest of October will be equally productive.